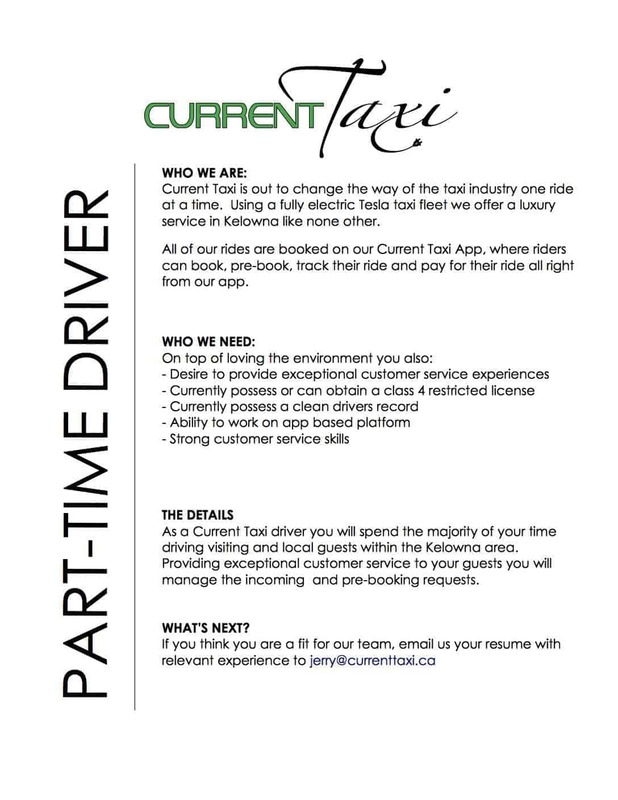 Jobs | Current Taxi - BC's First All-Electric Taxi Fleet! We aren’t your average transportation service, so we aren’t looking for the average driver. We are a locally born and run company who is committed to providing the best drivers, the best cars and the best service to Kelowna, West Kelowna, Peachland and Lake Country. Are you ready to connect with the movement? Let’s talk.